After a couple of failed weekends chasing the weather and some early cod at Chesil, I decided to set my sights a little closer to home. 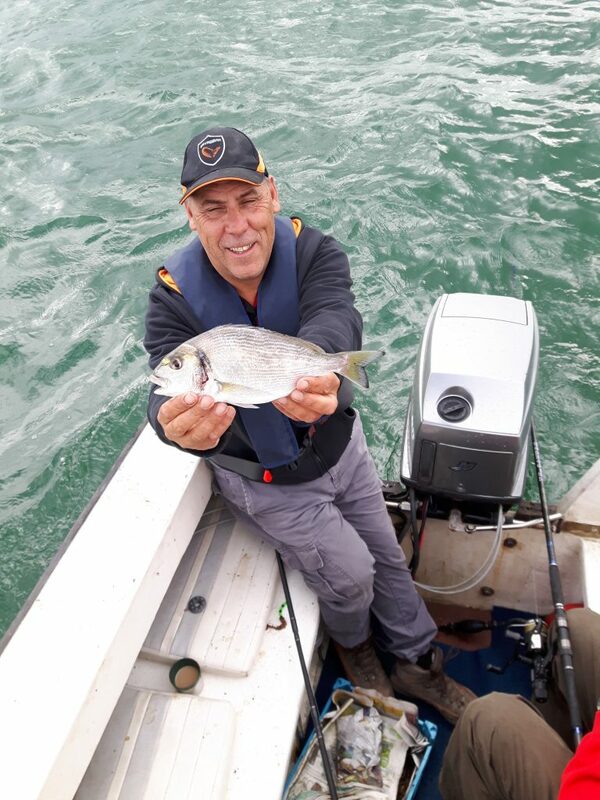 Gilthead bream had been showing up on many marks around the harbour and a confirmed report of one particularly fine specimen being caught at the lake pier in Hamworthy caught my interest! Fishing on the building springs in early September one lucky angler landed a Gilthead of well over 6lb. I fished the pier a few days later but the bream fishing like the spring tides had died off. 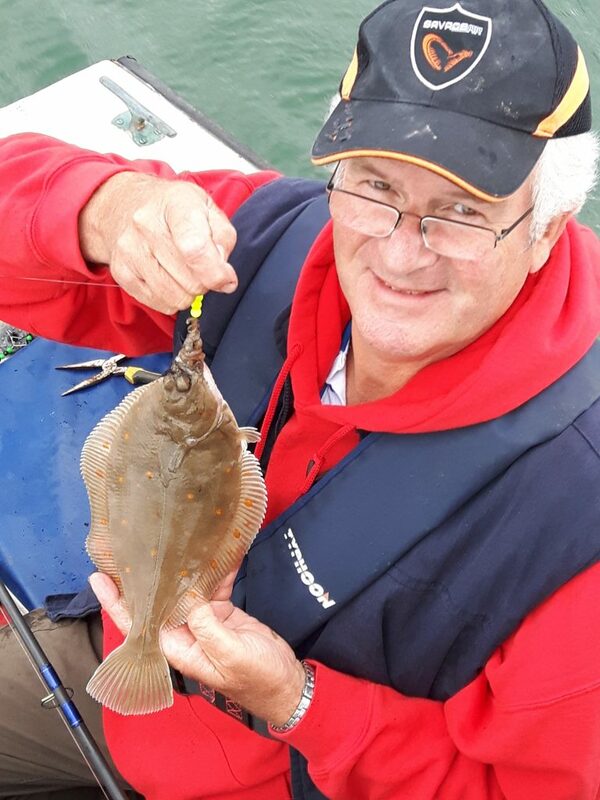 After his success with the rays at Sandbanks my mate Simon was keen to fish one of Pooles other gems at this time of year, boat fishing for plaice in the harbour! 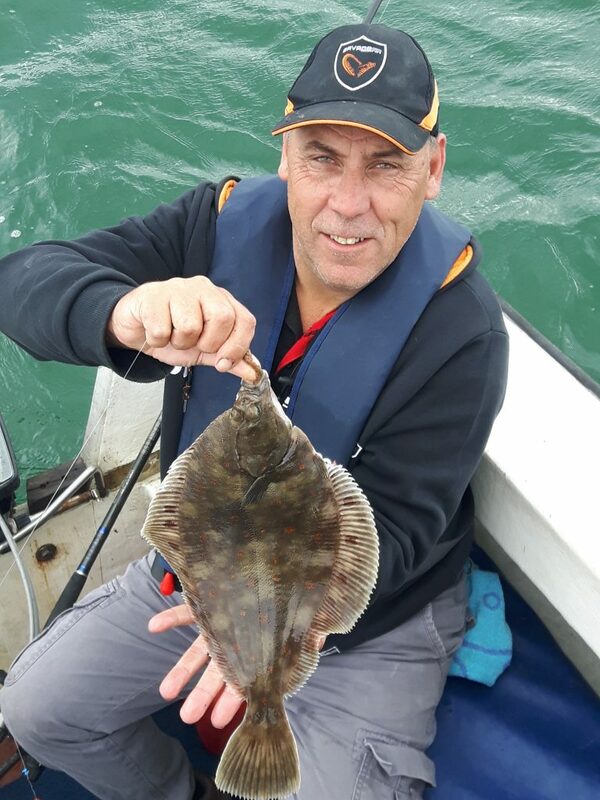 September is highly regarded as one of the best times of year to catch a specimen plaice, so a date was arranged to fish the next set of springs. Fishing the edges of the channels at the bottom end of the harbour I hoped we would catch the plaice that we were after, plus I had a hunch we may catch a bonus gilthead bream or two. Early in the week the forecast looked perfect for the boat, light winds and plenty of sunshine. By Thursday it had gone downhill rapidly and by the early hours of Friday morning I was awoken, like many other people along the south coast, by the violent thunderstorms that rolled in from the channel. 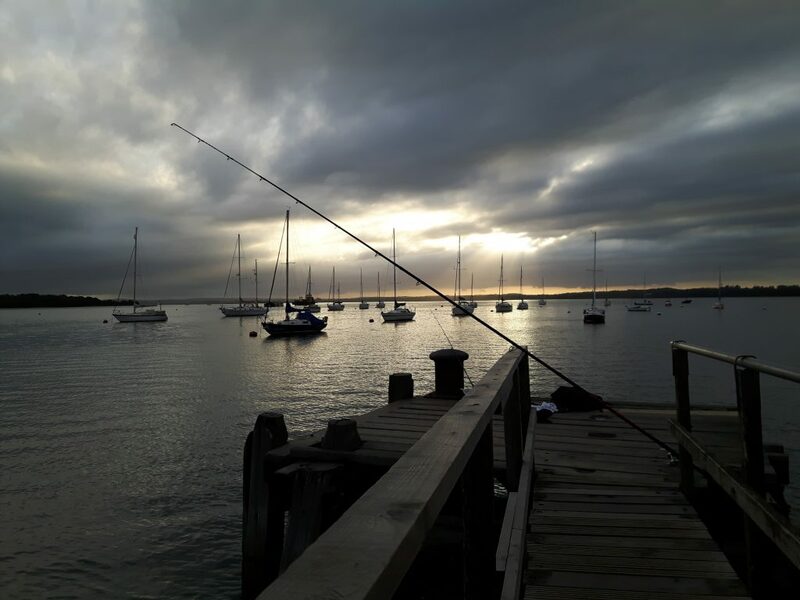 Despite the storms the wind held off enough during the day for a friend of mine, Jack Graham, to get out on his boat and fish the harbour. 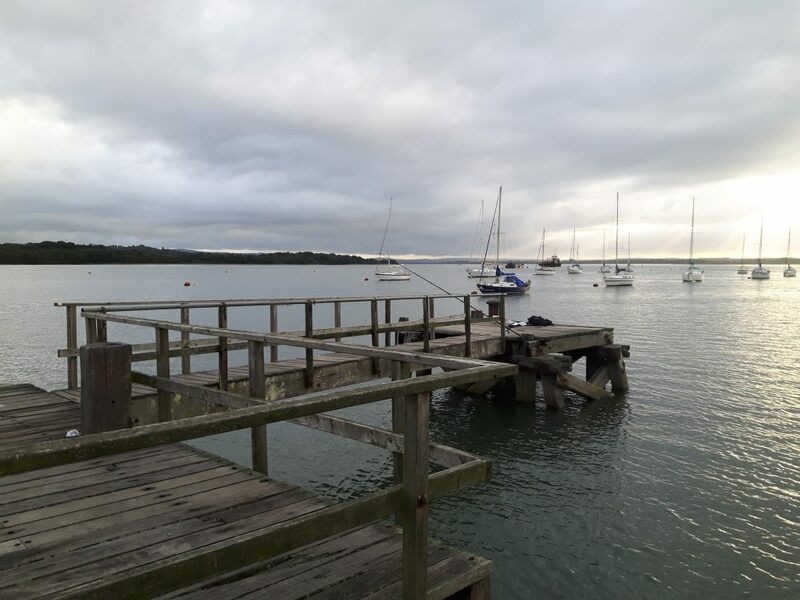 He reported it had been breezy but it hadn’t affected the fishing with good bass, black bream and good sized plaice among the catches he had drifting and anchoring along the channels. Would this be the omen we hoped for? Simon his pal Phil and I certainly hoped so as we we moored at our chosen mark a little after 11am. Light spinning rods, ragworm baited beads and bling traces were cast out in earnest. High water came and went. Without so much as a sniff. “Oh dear”.The pressure was on for me to produce some fish on my local mark and after 45 minutes we still hadn’t had a bite. Then as the tide started to ebb away before second high water it was like someone flicked a switch. Almost at once everybody’s rods bent double as a shoal of gilthead bream smashed into our baits! At this point I have to mention I have never caught a gilthead before and I was stunned at their raw power and ferocious fight. I was absolutely convinced I was connected to a fish of several pounds. Handlining a fish about 3/4 of a pound into the boat I was shocked such a little fish could fight so hard. I would love to have caught that gilthead bream of 6lb the fight must have been amazing. 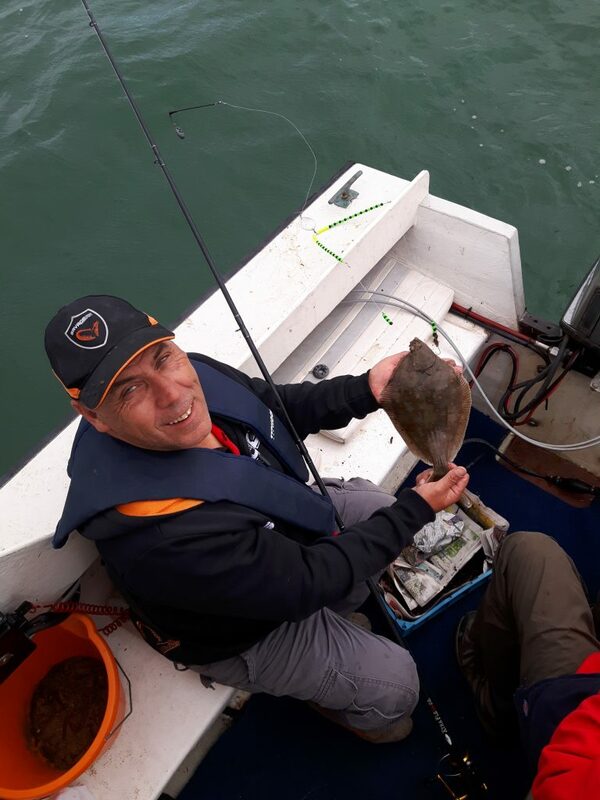 The bream fishing continued until second high water came and then the plaice came on the feed with Simon bagging his first Poole Harbour plaice of around 2lb followed in the next cast by one slightly smaller. As the ebb tide picked up the bream bites died off and the small chequered bass came on the feed. Leaving a worm baited rod out still fishing for plaice s second rod was set up with small rubber eels cast around the boat to pick up the shoals of small bass passing by in the tide. Great fun on a light rod and just a small lure. Simon opted for a small plug and managed to hook a seagull, luckily it dropped the lure as soon as it realised it was attached to a fisherman the other end. Simon did manage to save some face though, hooking some big mackerel on the surface which also fought like demons on light tackle. Poor Phil up to this point had only managed a couple of small bream all day and was receiving some proper stick about it. Holding his composure as low tide approached he landed a small but beautifully marked plaice. This was swiftly followed by a small flounder, well done Phil just goes to show perseverance pays off. After slack water the tide started flooding in with a lot more power. At this point around 19.30pm. I thought the tide may be running too hard to pick up plaice at anchor. So I suggested a few drifts further up the harbour on our way home. The drifts didn’t amount to anything as we were moving very fast with the tide. 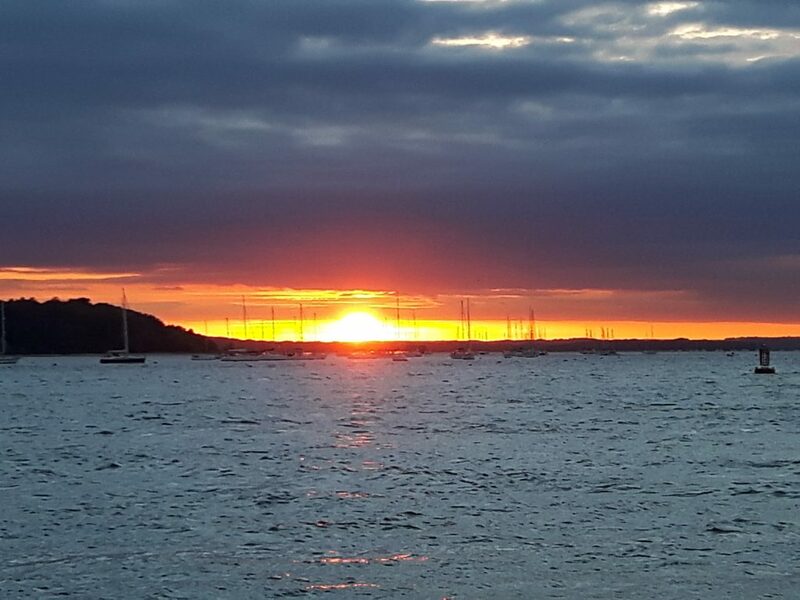 However as we set up for our last drift the sun dropped below the blanket of cloud and we were treated to a stunning Poole Harbour sunset. What a way to cap off a cracking day, no monsters were caught, but on 6lb tackle and braid it was a thoroughly enjoyable day. Nearly a fish a cast and a new species to my list and all in the company of good friends too! On the local beaches, much like Chesil, the standard of fishing has dropped off a little. I have noticed a slight chill in the September air and I’m sure the fish can sense it too. Fish are being caught but not in the numbers they were last month, however when they are they seem to be better than average size. Southbourne has produced codling to 9lb as well as still the odd double figure ray. I’m still waiting for reports of any decent sole caught yet,but they will be about. Sandbanks beach will be the plaice for a place. You can expect to see some nice fish come from there this month. September is generally a good month as we will see the late summer species mixed in with the early winter species. Plaice, cod, bass, sole and whiting are all species that could feature in a single session. One Response to "Drifting into Autumn for plaice and gilthead bream"